…the excitement of the aim and the fascination of the journey. 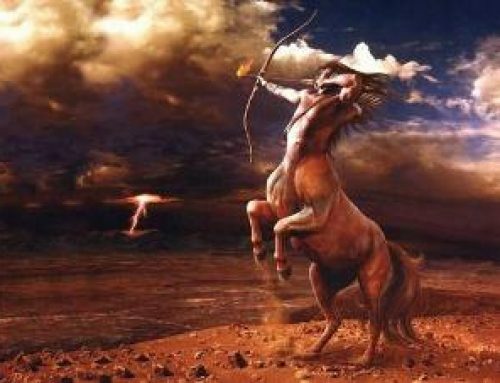 The centaur is a mysterious composite figure of Greek mythology – half horse and half human – who’s always shooting his arrow at some distant target over the horizon and then galloping off in hot pursuit. Sometimes he finds the arrow. Sometimes, however, he gets completely sidetracked by all the interesting scenery on the way, until another target beckons. It is an apt and descriptive image for Sagittarius, the third and most volatile of the fire signs. 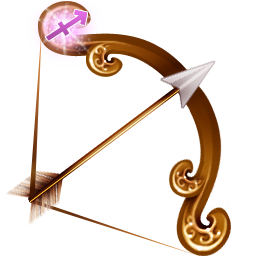 For this equine archer does indeed aim the flashing arrow of his intuitive visions at some distant goal of the future; and most of his life is spent chasing after one arrow or another. The big question is whether he has aimed true or not. And, after that, whether he can find his arrow at all. The key theme in all this classical imagery is that what really interests Sagittarius is the excitement of the aim and the fascination of the journey. The goal is really, after all, relatively insignificant. There is a basic attitude innate in Sagittarius that life is an adventure, a journey, a quest – and the real sport of living is to make that journey as interesting, as varied, as expansive, and as informative as possible. Arrival is not the point. Jupiter, King of the Gods in mythology, is said to be the planetary ruler of Sagittarius. And we can learn a lot about our centaur friends by having a closer look at Jupiter’s imposing figure. First of all, he is noble, dignified and majestic. That is, most of the time, when he has his Olympian court around him and plays the hilt of the role rex deibus. He is a consummate actor, our friend Jupiter. He is also the great profligate of the Olympian heights, a god who is always chasing something or other – mostly women. Some Jupiter-ruled folk take this symbol literally, and they are the Don Juans of the zodiac. It isn’t that they are driven by some insatiable sexual passion, though. It’s the ideal that drives them, the possibility of something new and exciting. The adventure, the unexplored mystery, the unobtainable goal, the one that got away. 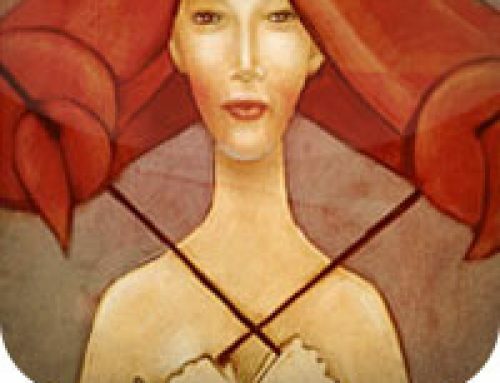 Sagittarius, it seems, has this Jupeterian propensity to be afraid he might be missing something – be it a woman, a project, an idea, a book, a creative work, virtually anything new and untried and unexplored. On a more extroverted level, you’ll always find the Sagittarians gathering where a new club has opened up, a hot new restaurant, an artsy film, an exciting workshop or group of some kind. Some people have used the unkind word ‘trendy’ to describe this behaviour. What it’s really about is that Sagittarius has a remarkable intuitive nose for what’s going to be popular before anybody else knows it. It is often the Sagittarius who makes fashion, because he gets there first and gives his often vociferous stamp of approval. And everyone else, knowing that if it weren’t good he wouldn’t be there, troops after him. The more introverted Sagittarian may not be found frequenting a new disco or roller skating rink. But he’ll usually be miles ahead of everyone else with a new novel, a new philosophy, a new film, a new cultural phenomenon. The same gifted intuition works here, but in a more interior way. And it works, too, with contacts. Nobody has the penchant for making valuable contacts than Sagittarius does. Somehow it’s always the centaur who ‘bumps into’ the director looking for a new lead, the publisher looking for a new work, the record producer looking for a fresh voice. It can make you tear your hair, the way luck seems to pour from heaven onto Sagittarius’ haloed head. But it isn’t really luck. It’s that remarkable eye for the opportunity, that intuitive nose that can spot a potential or a possibility thirty miles away. And also the impulsiveness, rashness, boldness, call it what you will, that gives Sagittarius the flaming nerves to try his luck, where other signs will cower in the wings waiting for something more concrete. Boredom is the great enemy of this rampant and random sign, and believe me, they get very easily bored. It takes a mere doing something twice in the same way to push the more restless type of centaur out after the next arrow. After all, he’s done that one. Why do it again? Never mind telling him about the rewards of applied, disciplined effort. Pass that advice onto a Virgo or Capricorn. Sagittarius isn’t interested. For him, it’s the exhilaration of the process of getting there, not the kind of reward you can hold in your hand. Besides, if he ever got to hold it in his hand, he’ll no doubt spend it within five minutes anyway. Let’s take another look at Jupiter, for he is full of information about our unpredictable fire sign. For another thing, he’s got a very jealous wife. Not that jealousy is the way to keep a Sagittarian in a relationship; fences drive him crazy, and ultimatums are guaranteed to drive him directly into the opposite behaviour. But think again. Without that jealous wife trailing him everywhere and doing terrible things to his mortal mistresses, where would Jupiter be? Where would the spark and excitement of all those peccadilloes go? Right. What makes them fun in large part, is that Jupiter gets to fool someone, to play the gambling game. If it were all socially acceptable and out in the open, why, he probably wouldn’t bother. It would have been too boring. 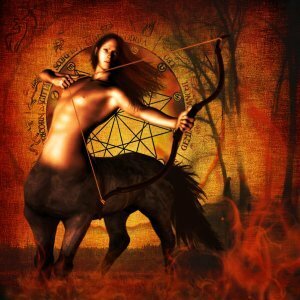 The elements of danger and a little rebellion against social mores are lifeblood to Sagittarius. He may look conventional, but he loves to push his luck. Another thing about Jupiter. He’s always changing shape. When courting, he’s apt to be a swan, a bull, a shower of gold, virtually anything else his imagination can create. It’s the consummate actor again. Sagittarius loves to play roles – the more theatrical, the better. Being caught in the same costume twice is quite horrific for him. His restless mind is always seeking new ways to approach those goals, new costumes, new poses, new techniques. Change, travel, constant mental stimulus, exploration of unknown landscapes – tell Sagittarius that there really is a hidden treasure under that mountain and he’ll be as happy as any Taurus with his bank account bursting. Find a Sagittarian who’s forced to circle the same ground over and over again, perform the same routine in endless monotony, and you have found the most miserable of creatures. Jupiter also has a mighty explosive temper. Think of all those thunderbolts and flashes of lightning. He can be pretty terrifying in mid-eruption. But when it’s over, the anger is gone, and he’s jovial again. Not a god to hold a grudge. And although Sagittarius can sometimes display a fairly flamboyant sort of anger, complete with waving arms and smashed crockery, he really doesn’t brood about it afterward. You won’t find Sagittarius plotting away in the corner ten years later like you will Scorpio, or nursing his wounds like Cancer. Once he’s yelled at you, he’s finished. Often he can’t understand why the recipient of all his blustering and noise is so hurt by the display. After all, he didn’t really mean it, not really. All those horribly blunt, hair-raisingly honest remarks he made weren’t really true, they were just, well, for effect. As you pick yourself up off the floor after his barrage of deadly verbal arrows, you may well be astonished at how quickly he’s recovered his usual sweet temper. But Sagittarius isn’t renowned for his sensitivity to subtler feelings. 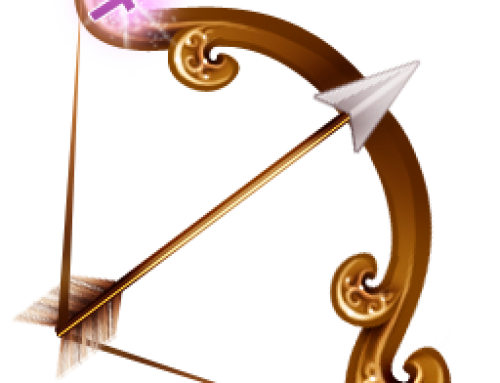 His arrows can be really destructive to the more sensitive signs – like Pisces, Virgo, Cancer – but he doesn’t realize it. Bash him over the head and he won’t crumple with horror. He might bash back, but it’s all part of the game. How can you remain angry at such naïveté? Sagittarius can also be downright gullible, if you flatter him properly. Like all the fiery signs, he loves mythology – especially if it means he can mythologize himself. A lovable quality – unless you happen to be his wife and it’s somebody else offering the flattery. Then what do you do? Absolutely nothing. Offer lots of rope. With luck, he’ll hang himself. The heart of the fiery signs is always true. But it’s true to the ideal, not to the physical reality with all its imperfections. And it’s pretty hard for this fiery spirit to inhabit a world of boundaries and limitations. Show him that you understand that, and you’ve earned an undying friendship. Friendship, by the way, is a key word for Sagittarius. He will often refer to a lover as ‘my friend’, for this ultimately means more to him. 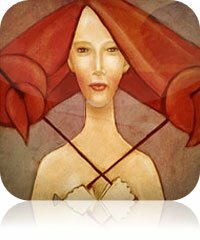 Heavy displays of emotion, particularly the soggy kind that don’t have any romantic dash to them, are very disturbing to Sagittarius. He can take grand drama – after all, he makes enough of it himself – but he can’t stand pathos. Domesticity too can terrify the wits out of him. And this applies to the female Sagittarian as well. Offer her the 3.4 children, the piles of unwashed diapers, the dinner to cook, the beds to make, and no prospect of ever escaping on some exciting journey, and you’ll never see anyone run so fast. The world of safe, unchanging domestic security and serenity is not Sagittarius’ idea of a happy life. He needs his pack on his back and a mountain to climb. Home is pleasant, so long as the back door isn’t kept locked. What, then, is this quest on which every true Sagittarian spirit must embark? It varies. Much has been written about the sporty side of the sign. But this is more a by-product than the goal of the quest. Lots of Sagittarians hate sport. And travel, although often a favorite Sagittarian pursuit, is really a means of enlarging one’s horizon. The Sagittarian traveler isn’t the one who books the two-week package holiday in the huge hotel on the Costa del Sol and sits in the sun nursing his tan. He’s the one who needs to be mobile, who needs a city to explore, a ruin, a chateau, a library, a mountain, a place no one else has been. And the stranger and more alien the culture, the better off he likes it. In a sentence, at the heart of Sagittarius there lies a great craving to explore and understand life. Whether orthodox or not, Sagittarius, like Leo, is a deeply religious sign, and the word religious is here used in its original sense: to reconnect. This means reconnection with the source, with the roots of life, with some sense of meaning. Whether you find him traveling as a salesman or an archaeologist, a poet or a scholar, whatever profession or job he lands himself in. 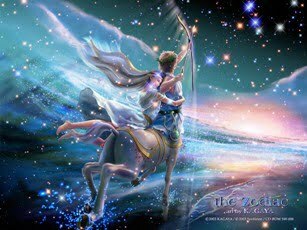 Sagittarius is trying to broaden his scope, to enlarge his consciousness. Life is a curious and interesting thing to Sagittarius. It is something to be played with, explored, enjoyed, peered into. And ultimately, understood. Watch the typical Sagittarian conversation line. Make an ordinary everyday remark – something like, ‘Have you noticed that fashions this summer are getting very ethnic – all that hemp and linen and Indian cotton?’ Any other sign would reply with a personal comment. Yes, I really like the look. Or yes, I really hate the look. Or, it’s great because the clothes are so cheap. Or, my mother doesn’t approve because you can see through muslin. But listen to the Sagittarian. Everything, to him, is connected with something larger. Whether in the pool hall or in the university, he is an irrepressible philosopher, with or without the vocabulary. Expansion is the keyword. So: ‘Yes, I’ve noticed. I’m sure it’s because in our current society there is a deep need for trying to reestablish a connection with nature. Technology has forced man to….’ And you’re off on a deep, broad, often hilariously funny and frequently inspiring philosophical discussion. Sagittarius watches other people a lot, and he has both a strong sense of irony and an acute degree of insight. 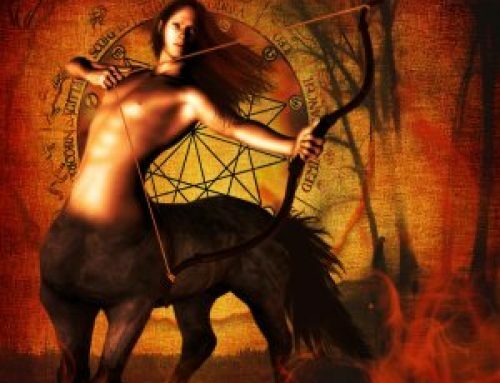 The leaping intuition of the element of fire is directed toward the world of ideas to Sagittarius – often with great brilliance or, at the very least, with a capacity to grasp broader implications and themes. No Sagittarian, however poorly read or educated, lacks this capacity to make connections between the ridiculous and the sublime. Jupiter is the King of Gods because he’s the biggest. And in an odd sort of way Sagittarius is the biggest sign – in terms of horizons. Better to shoot an arrow high and lose it than to aim low.